QP2R & Atlas-Joe Satriani & What Happens Next defines the raucous nature of the Atlas. This…thing…ROCKS! Holy buckets. Diamonds from Los Lonely Boys loses that sibilance up top, which many have. Crank it up and enjoy. The Atlas has about 100hrs on them Much less so far than @Kervs has on his review pair, but the feeling is the same. He told me to wait, be patient and wait some more. So, after my initial listen, I did. I played the Atlas continuously for 4 days, a total of about 80hrs. Pairing with an old favorite, my Shanling M5, Bob Marley’s Is It Love epitomizes what I am feeling at the moment. 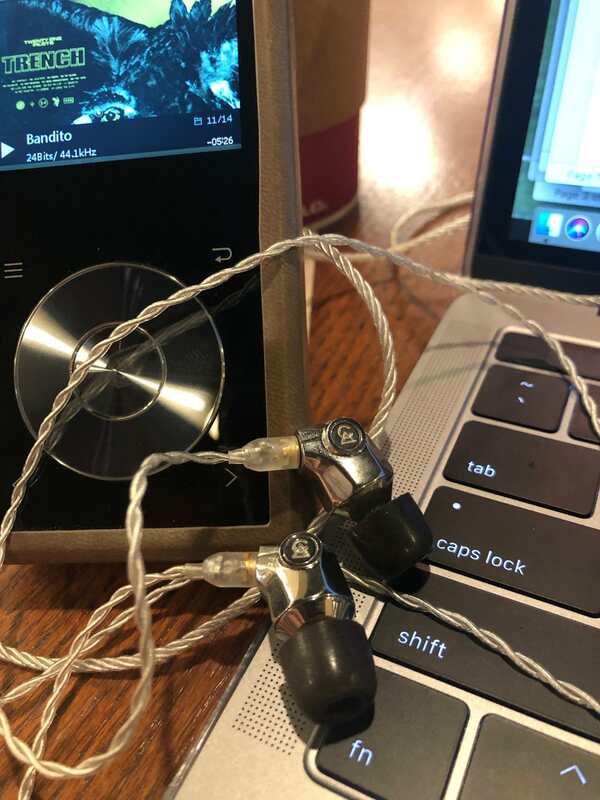 I begin to understand further the passion wrought under the roof of Campfire Audio, and the sheer fanaticism fashioned by its followers (and yes, I am one). To think the Atlas is still a single Dynamic Driver one, which is not much larger if at all than competitors and you have to wonder what the other companies might be doing wrong. This is the stuff of legends, from the old west. Think Clint Eastwood and his legendary movies, and you get the point. I want to thank Ken & Caleb for the Atlas. All they ask is an honest open review, and as usual I would not have it any other way. This is shaping up as a foundation shaker, much the way the Vega did not that long ago. Warren Zevon-Excitable Boy ran through my head as I unboxed. But, unlike the song, no one was killed, and I did not have a cage for the bones left behind. Maybe it was my bones quaking in anticipation, but I matched the song beat-for-beat and rather enjoyed the comparison of song and CA Atlas. 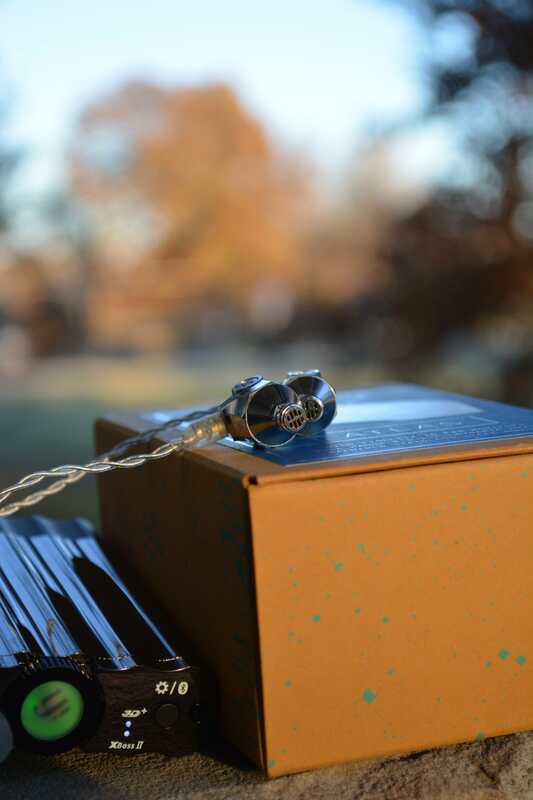 One has come to expect unique tidy, neat packaging from Campfire Audio, and the Atlas does not disappoint. Presented in a small box, with stars alight and a camping scene (duh, Campfire…) you come to appreciate the simplicity of box. No extra room. No added room. No wasted space. This could be a cost saving technique as well as a resource saving technique; and I do approve. Unwrapping the plastic, you open the box from the front, much the way Indian Jones opened the treasure chest in Temple Of Doom. Yet again, you are not disappointed as a simple rectangular black pleather box presents itself, adding to the intrigue. You take the black case out, unzipping slowly, so you can savor the moment. Then, just like the glow from the treasure chest, the light glistens off the polished chrome of the Atlas. And you are glad. 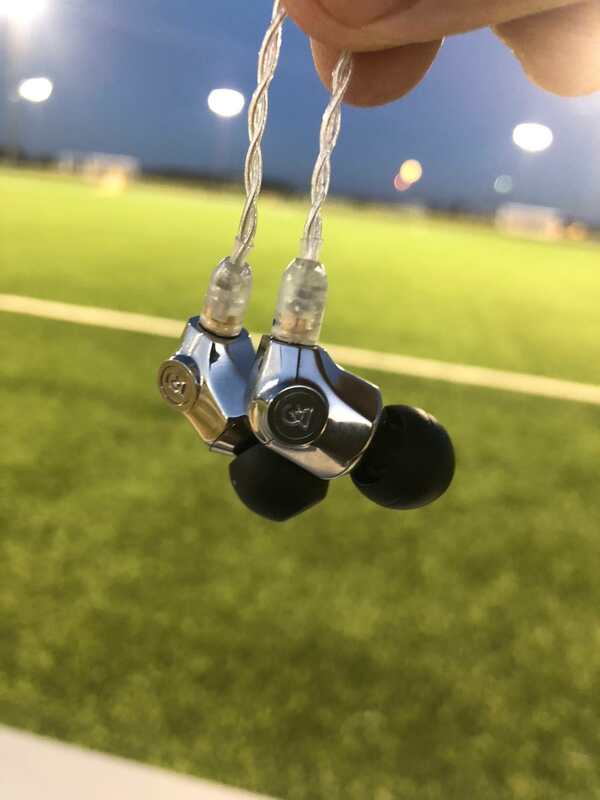 With one IEM nestled inside of a soft cloth pouch, then the other nestled inside another cloth pouch, the glisten is blinding even from inside the pouch. Oh wait, that’s the light I was shining upon them for full glory. Nonetheless, the chrome is not missed upon removal from each pouch. And you are again, glad. Adorned with the silver Litz cable, you do get the feeling of finding treasure. Very, very valuable treasure. One would not be wrong in that assessment, either. Under the black carrying case, inside the tan box, under a secret shelf, lies the other tips, the CA lapel pin, a cleaning brush, and a small manual. Nothing fancy, but all functional and needed. Yet again, CA included the right amount of material in the package and added with the included Final Audio-E tips. There are some products, where you simply want to get the box open and get to the listening. I don’t fault those companies one bit. But there are times when you really do want to savor the opening moment, relishing that first look into your purchase and the accompanying sidekicks. 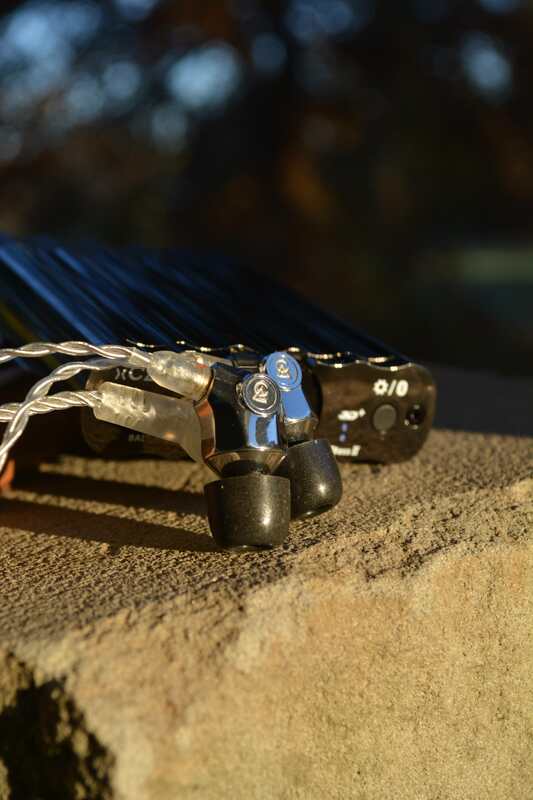 The Campfire Audio Atlas would most definitely fall into the latter category. And you are glad. When one reviews, sometimes a rut is fallen into. A rut of following the same format, the same way, using the same songs, and the same gear, etc, etc, blah, blah, blah…I know I am guilty of listing the same songs, and mostly the same gear. But I do like to throw in random songs, which I use during the test. This would most definitely be one of those times. There is not much you can say about the Atlas at first beside that it is shiny. Very, VERY shiny. While some might find that look garish, I find that shininess fit with the Atlas character. Made from three pieces (including the nozzle) of polished alloy, there is a “hatch,” which covers the back like a trunk. That way there is easy access to the innards for dissection, errr mounting. Final fit is very good, as one would expect. I can recall from my Nova review that the halves were matched quite well, except for one spot. That did not bother me, and neither does the fit of the Atlas. With an even seam, like you would find on an expensive Jaguar (or Toyota), you need not worry about mismatched seams. Impressive, but expected from Campfire’s capable technicians. The cable is the staple Litz 4-wire of pure silver. 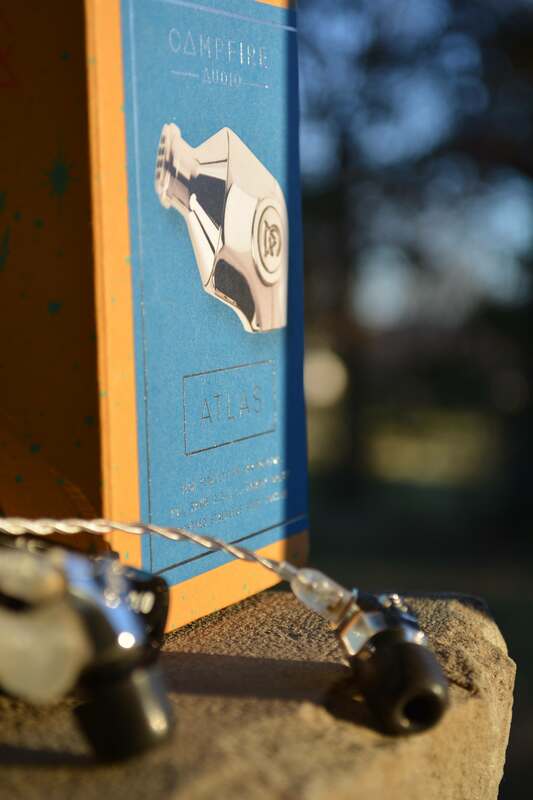 Giving a crystal-like sound, the Litz compliments the Atlas perfectly. What may be overly bassy, and almost untamed with a pure copper/hybrid is crystalline clear through the Litz. This is one special cable, especially since it is OEM. A bit thinner than I would like, and prone to a bit of tangle, it isn’t perfect in the ergonomics department, but one does not listen to ergonomics (there is zero microphonics). Soft and supple, the cable really is a sight to behold and use. This is an exceptional cable. 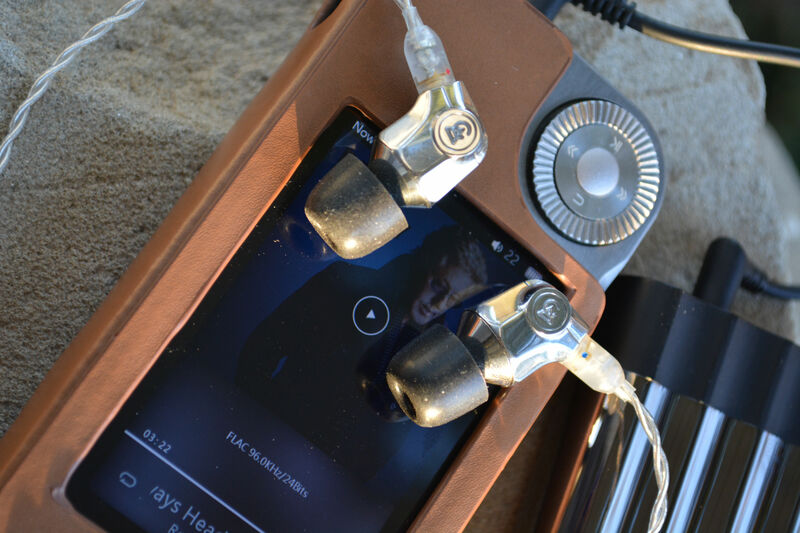 Beryllium-Copper connectors compliment both the MMCX end and Atlas connection. No problems, easy to connect without much force, and they stay. With a 3.5mm stereo plug, you have an extremely good single-ended cable. Part of my test will be with a Norne Vorpal balanced cable, which came with the Jupiter when I purchased it for comparative purposes. My only qualm is that the chrome is prone to fingerprints. One need not worry too much as you will not be looking at them but listening. So, one is left with a rather unique looking shell, not unlike the shape of an older canon polished to absolute brilliance as if it is waiting for inspection. Then it can get down and dirty and to work. The parallel is not lost on me. Morph from twenty one pilots new album, Trench sounds simply sumptuous with the Comply in tow on the QP2R. This song alone defines the character and quality of the Atlas. Good Gawd, this is good. Deep reaching bass, not tainted by the somewhat-typical “shrouding” done in by foamies. Rich mids, which are so good that it could make one cry. Detail of treble wrought like almost none I have heard. I am amazed yet again that a single DD can deliver such quality. This is a righteous set up, not to be messed with. Plus, the new twenty one pilots album absolutely rocks. This…is…good…stuff. I will admit, I’m not sure if a normal review format is the right way to do the Atlas. It does not really fit into the normal format of bass/mid/treble/separation/etc…Just seems like a disservice to such a different critter. The simple truth is that this is a 10mm Plasma-enhanced Chemical Vapor Deposition (C.V.D.) Amorphous Diamond Like Carbon (A.D.L.C.) Diaphragm of a single dynamic driver. That is one heckuva mouthful but says a lot about how CA goes about their business. The heritage of Campfire (at least at the TOTL level) started with the Jupiter (comparo below), followed by the Andromeda, Vega, Cascade, then the Atlas. Now continuing the stellar descriptors, the Solaris graces our presence, with what is heard on the grapevine as the last iteration of a single dynamic driver. This is as far as CA can go, so the word is. By that tongue, if the Solaris is “better,” then I may not even need to go there. The Atlas is that good in its own right. I have been lucky enough to participate in some pretty fancy tours, with gear of which many call their epic, TOTL, end-game items. From the 64Audio Forte to the Unique Melody Mason V3 (Mentor V3), to the others; some really good kit has graced my ears. I do not mean to state that from this I glean and hover over all of you by crowing about what I have hears. No, indeed no. The above listed critters propose to lay the foundation upon which I have learned and plied my “trade.” Where I have honed my “skill” (really lack-of compared…) in order to draw those dreaded comparisons. Those dastardly barons of highfalutin penthouse gougers, who tell us we MUST try this, or purchase that. They sit there looking down from their crown thinking that they are bilking us. But, what they do not know is that they are PROVIDING us with the necessary means to fully envelope our listenings. To engulf us in musical repose of such grandeur that we ought not go any higher, lest we get altitude sickness. It is precisely this level at which Campfire audio strives to attain. That highest of the high. But, dear reader without the pretense, attitude or mockery of some. There is a humbleness wrought from hard west coast work ethic. An ethic that belies the typical west coast perception of playing. Oh, there is play, but after the hard work is wrought through the fabrication of metal, wire, solder and other. This fabrication is why we gleamingly look like the candy store scene in A Christmas Story. It is precisely why. We want the best we can attain, but also harbor not to spend the equivalent of a mortgage payment (OK, most of the time). 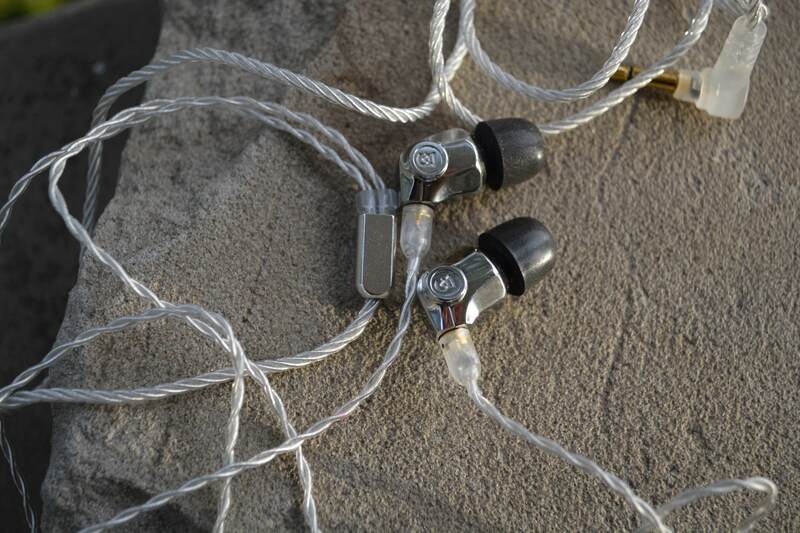 And here is where the true gem of what Campfire Audio shines. Little did we know that there was this want of niche for TOTL, but truly affordable items. 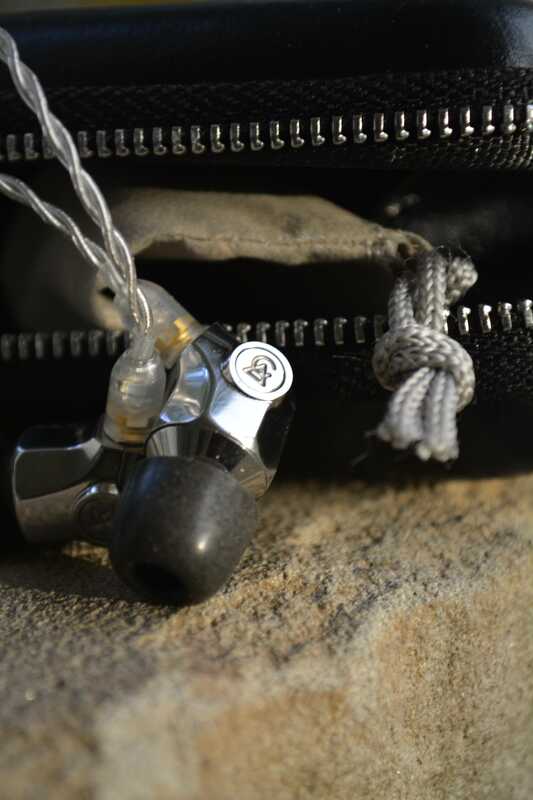 One can certainly spend significantly more (and I do not fault you one bit), but once you hear the mystic of what Campfire Audio proposes to you, dare I say that you are hooked. And, to be honest, it is OK if you are not, we do not fault you for that, lest the world be a boring place. But it is because of artisans like CA, that we exist to cherish and try any of the above-mentioned items. For they truly do prose forward a product of such quality that you could sit down on that park bench and be completely satisfied with what you have achieved. I do not say this lightly (and if you are still with me), but the Atlas may be all you need. You will certainly purchase others, but as I work through my queue; I come back to the Atlas for comparison (not fair to the lesser monied items, but oh well). I come back to make me truly gauge how the others sound. And I do think that is fair, for lately many have produced a quite worthy sound. And in many ways that sound is a result of trying to replicate what Campfire Audio has achieved. That is one mighty compliment of which Ken & Co should be proud. For not only are they at the top of their game (shoulder to shoulder with those more expensive TOTL’s), but they are a beacon of which others shoot for, guided by the vision set forth from the beginning. A pretty good deal in my mind. So, without further to do (too late you churlishly add…apologies), I will do my best to “quantify” what it is about the Atlas that makes it so good, and so right in the world of over-priced, over-hyped TOTL’s. I do not mean to insult the others, truly I do not for I enjoy in my covey a couple of those in which I speak, but to state what has been triumphed from the Atlas. A TOTL at which Campfire could have stopped and been done. I would been happy as well. Thankfully they did not. Using different tips, the Atlas takes on a different character (as many do…). I can state that with the Final E tips, I enjoy that more open energetic sound, and the added sparkle up top is almost ethereal in level. The bass takes on a taught snappy level of which there are few peers. The 64Audio Forte comes to mind as well as the UM Mason V3. Both of those are tuned differently but reach such levels. From memory, the Forte is brilliant in its response to attacking music, which highlights the upper reaches. But it does not have that sparkle of which I speak. It is brilliant for how crystalline the sound is, but with an attitude. An attitude of “this is good…really good and I know it.” And that is what makes the Forte one of my all-time favorites. It has attitude and isn’t afraid to show it. On Bandito from the album Trench (a fabulous album), the bass line is taut, deep and fast. There is a certain crispness wrought from the combination, which is just about right. Not too much, and with sufficient reach you experience the bass, not feel it. Anticipating that solo a bit over halfway through the song; you start to reach for the volume…getting ready to turn it up. There is a bit of rumble in that anticipatory part, with the right amount of bass guitar reverb. Then it hits, and you turn the volume knob to just the right loudness and enjoy. The synthesizer sings clear and true, with Tyler’s voice coming through at the right level, slightly off left, then back to the right. It just works in song and the Atlas presents itself as true as one would find from another at a more expensive level. For the last thousand words I have gushed unabashedly about the Atlas. Most without redo or structure. I have not done that on a review for a good bit of time. And as I stated at the beginning of the prose, this critter does not warrant a “regular review.” I am not ashamed of what I wrote, nor do I think it is overly-gushing. It is the honest ramblings of someone who let the music flow and words while hunting-and-pecking around a keyboard. And after all, isn’t honesty what one wants when they are about to make such a purchase? The Atlas is superb, really quite stunning in its presentation. Using Pet Cheetah as a guide, I evaluate the bass. Here there is rumble, with decently quick decay, but a bit behind the others. Where the Forte was just darn quick (not fast), and the Mason V3 smooth, the Atlas is a bit loose. There is (to me) a bit of bleed into the lower mids, which can be a bit of a bother. While that rumble is appreciated here, it carries on a bit longer than I would like. Don’t take this wrong, the bass is superb, but falls behind the other TOTL’s. Where on Ziggy’s Dragonfly that rumble of bass, is appreciated, it takes the same approach as above but again fits into the song. I’m not saying the bass is sloppy, not at all; just a tad slow in developing. On Lighthouse it is perfect. So, one could say it is song-dependent. Vocal-wise there is nary a complaint. Ziggy’s voice is about as good a voice as they come. Rich of sound, far of reach, with what I will call impact, the Atlas provides a perfect place for the duplication of that melodious voice. Such a perfect song and represented true here. This is also a good song with which to gauge sound stage and instrumentation. The Atlas provides a wide sound stage, a good wide stage. With good height and depth, there is a cubbishness to the chamber, which is very much appreciated. Each layer is distinct and true. Instruments can be clearly heard and separated as a result of that layering. At this level, there is no hiding if there was a deficiency. Thankfully there is not one. Crisp treble without sibilance comes through on You by Ziggy. There are some early notes, which could make someone who is treble sensitive (like me) dislike the sound heard. The Atlas takes that with aplomb. There isn’t any, and while not the highest of reach song, there is good definition to the treble. Distinct would be an apt descriptor of the treble. David Bowie’s voice on Lazarus can become a bit piercing under the wrong IEM, to the point where you cannot enjoy the song. The Atlas provides just the right amount of presence for his voice, which is such a succinct voice, with an almost regimented feel on this song. That is the part, which could become grating. Not so here, which is good. This would probably be the closest “rival” comparison, since they are in the same price bracket. Meant to be the bass-holder of the lineup, the U8 takes a fair bit to get used to in terms of sound. Almost muddy or in a well sounding, you soon realize the fine qualities the 64Audio provides. A bass that not only reaches down low but is so well controlled you wonder why all bass does not sound this way; you are wrought with a solid sound at an affordable price, which can compete well above its price. No, really! This coming after I have heard the Forte and U18T. In fact, they are the reason for the purchase. I liked what I heard, and I wanted to add a 64Audio to the collection. 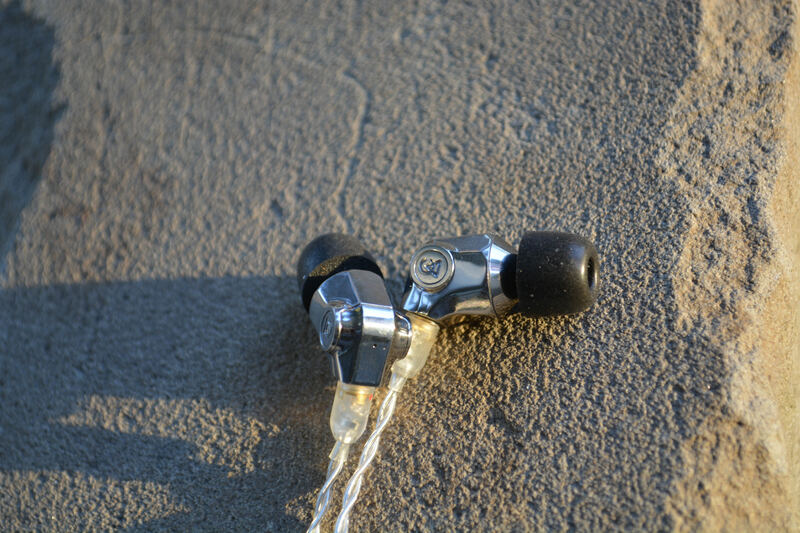 Having a bit less punch to the bass, the U8 is an excellent sounding IEM, with a wide sound stage. A bit more forward mids than the Atlas, they are excellent nonetheless. A bit less treble push, the U8 is definitely tuned to rock out, and it does that very well. On Roger Daltry’s Certified Rose, you can feel the sensuous nature of Roger’s gravely voice. A bit more subdued than the Atlas, but no less spectacular, the U8 arrives at the same end as the Atlas, but just takes a different path. I like both very much, and as Roger says, The Love You Save today may very well be your own. This would be what I consider the first-generation Campfire Audio flagship vs the third gen flagship. After the Jupiter came the Andromeda and the Vega. And after the Atlas now comes the Solaris. When the Atlas was released, it was so released to much accord and acclaim. And after listening to it, while taking the opinion of others I value, the Atlas can hold itself against much higher competition. The Jupiter is what set that tone, or baseline so those, which followed could do what they do best; perform at the very highest level. And in this regard, the Atlas comes through with flying colors. The Jupiter has a very different tuning than the Atlas, with luscious mids that to me are somewhat recessed. It takes me a bit of acclimation any time I pop them back in. After about 10-15 minutes, I’m back on par and I really appreciate what CA did for those mids. They are just smooth. Bass representation is accurate but not on par with the Atlas, but that is OK. The bass is good, but not what it was meant to provide. I use the Mentor as my “palette cleanser.” The V3 is the critter I use between review units to give me a bit of perspective. Give me back a little of what I search for and what I perceive as my peak. I enjoy doing this, because it reminds me of what exactly I like in my sound: sublime detail retrieval (as stated in my review slightly better than the Mason V3 to me), superb bass presentation and layering the size of rock strata in Wyoming. At this stage in my review career, the Mentor is my top, my peak, my TOTL if you will. And that makes me glad. It is that good. The Atlas is also good, very, very good. While it does not have the layering or retrieval of detail on par with the Mentor; it does provide more energy. This IEM is meant to be used, not enjoyed so to speak. And in that vein the Atlas betters the Mentor. Easier to use, and throw in your bag for wherever, the Atlas wins in the versatility aspect. Sound-wise, I lean towards the Mentor. It simply has too much going for it. That is not a slight against the Atlas, far from it. But when you look at something that cost roughly twice the price, you get into those subtler difference, which make the difference. 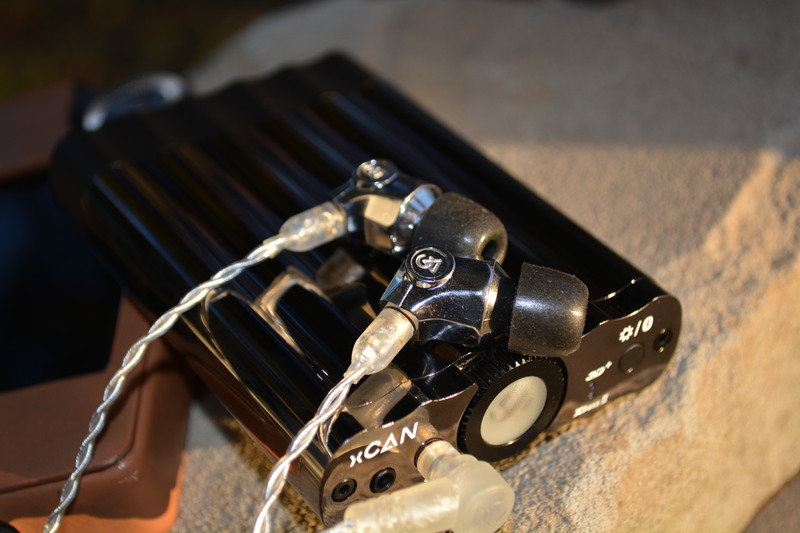 That said, the Atlas through the iFi xCAN and my trusty Shanling M5 sounds simply sumptuous and delectable. A sound not to be missed or dismissed. Through all of this pontification, I thought often of the journey this little chrome critter had through the audio world. How its “ancestors” laid the course for what was to come. For what the sound of one small company (not anymore, mind you…) could provide us with their vision of simplicity, cost efficiency and sound engineering (both versions). I also started my journey into the upper end with one of the Campfire Audio products, the Nova. I thoroughly liked it. And liked it a lot. But as often with this “hobby” we find something else, something further upstream. That led to various iterations of various products, many I auditioned, and consequently sold as I did with the Nova. Some I have kept (and will for a long, long time). But something stuck with me. From the mechanical shape of the first generation of CA products to the sleeker models such as the Dorado and Vega to the current more svelte, chromed look of the Comet and Atlas; the journey was still progressing. We have been privileged to witness the birth, teenage years and maturation of a brand, which many hold as the dearest of the dear. The one, which you know will be there. That journey has now been eclipsed at the Atlas level by the Solaris, and as stated elsewhere here, this may well be the pinnacle of what one company can provide with a single dynamic driver. If that may be the case, I eagerly anticipate what might come next, but also know that indeed the journey was the story. And that is one damn good story to tell. Roger Daltry’s word in Always Heading Home ring so very true in this regard, and I find it fitting that a hero from my youth ties the end of this package known as a “review” together. Nearly closing the curtain on a line, which can go no further. The ball glove you retire knowing it has given you so many good memories, and still will as you hand it off to the next generation. Always heading home, indeed. I profusely thank Ken & Caleb for the trust given. Their product can go toe to toe with any on the blue marble. I do not say this lightly. It is a special product, and the tie between the beginning and the Solaris. Worthy of flagship standing would be an understatement. ← Meze 11Neo: The answer for $60?